There will be four amazing event happening in Northwest Indiana this Saturday (June 13th) and my artwork will be featured in all of them. 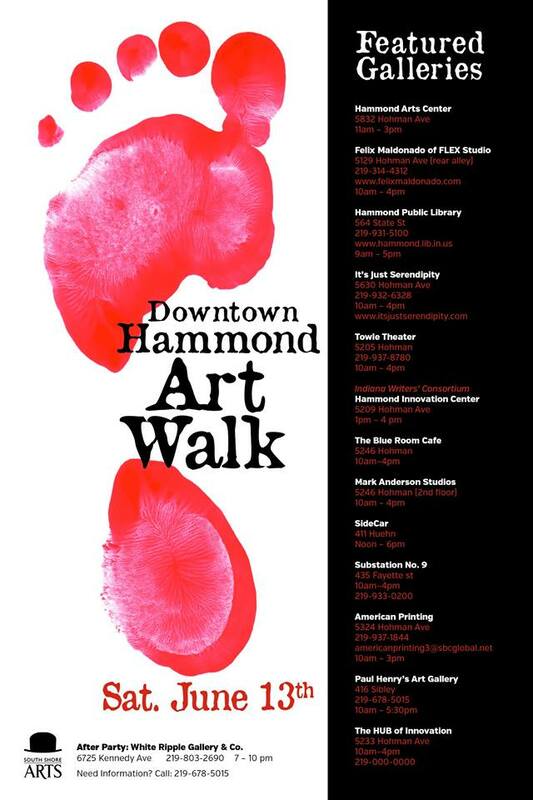 The city of Hammond will have their annual art walk starting at 10am till 4pm. One of the stops on this walking tour will be Paul Henry’s Art Gallery. The gallery’s current exhibit is Giant Monsters: A Catalog of Fears which three of my pieces are a part of. You can see a flyer for the walk below. 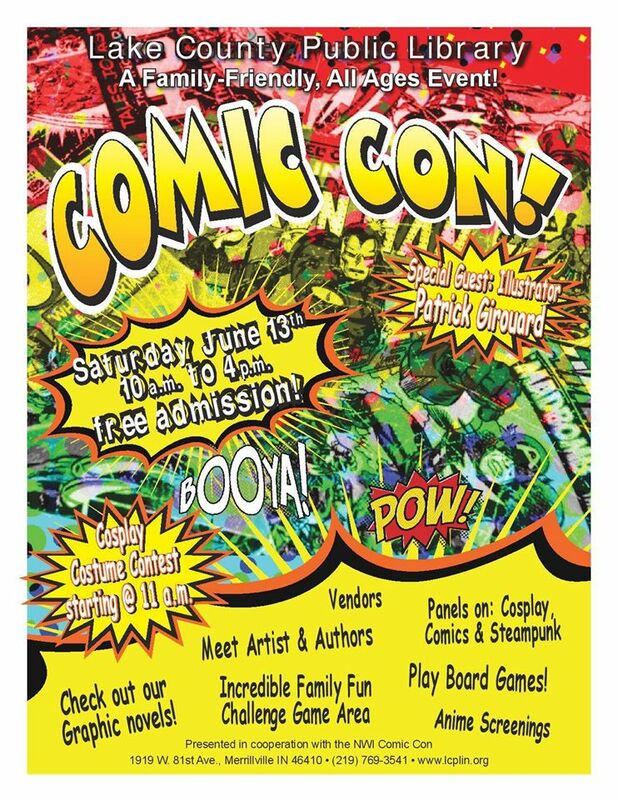 The Second event is the first ever Lake County Public Library Comic Con at the Merrillvile branch (1919 W. 81st Ave. Merrillville,IN 46410). This event starts at 10am and is free to the public. The con will feature various comic and art talents such as Ben Miller (Judges), Leslie Mason, myself, and many others. You can view the flyer for this event below. 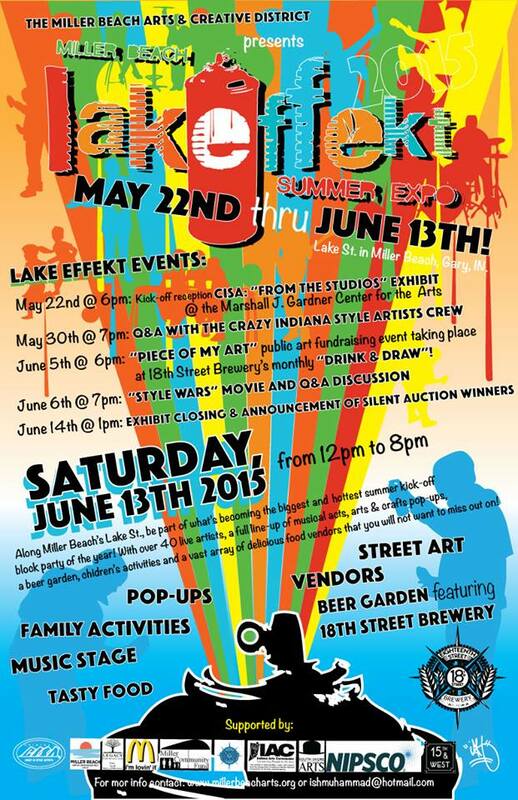 Event number three is Lakeeffekt Summer Expo in Miller Beach (Lake St.Gary,IN). The street will be closed off so that 40 plus artists showcase their street art skills. The event will also feature musical acts, pop up shops and various other goodies. During this event the Marshall J. Gardner Center for the Arts will feature a group project will was created at 18th Street Brewery, which I was a part of. The group project will be auctioned off and the winner will be announced on June 14th. You can view a flyer for this event below. 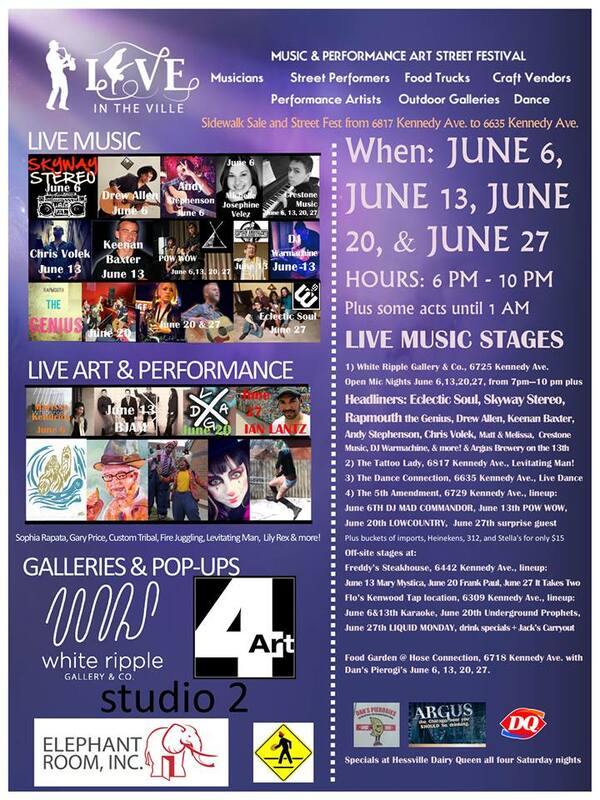 The final event for Saturday will be the second night of the Live In The Ville event. Not only will my studio be open to the public (2nd floor of White Ripple Gallery & Co. 6727 Kennedy Ave. Hammond,IN), but I will also performing my final DJ set. The studio will have prints and original artwork for you to purchase. You can see the flyer for this event below. Artwork will be available for purchase at all four events. I will be physically at the Comic Con and the Live In The Ville event on Saturday. Hope to see you all at one or all of the events.